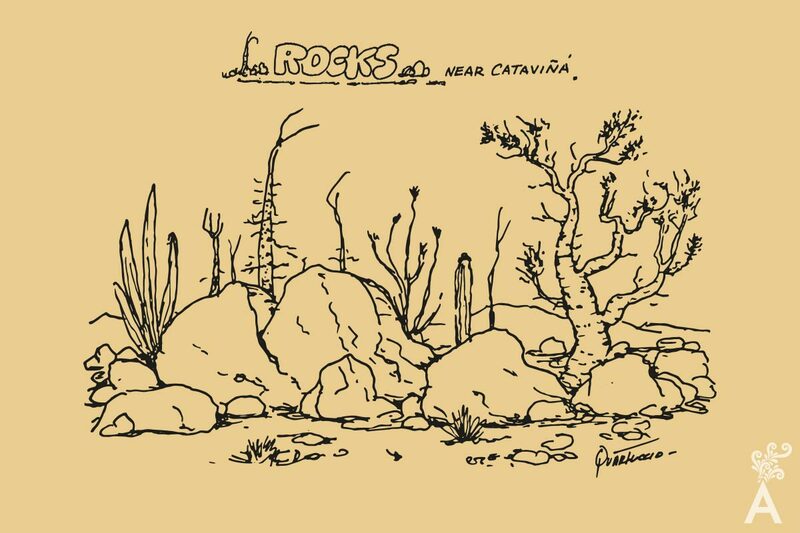 Immense boulders transform the landscape into a spectacular rock garden near Cataviña. Thousands of rocks ranging in size from marbles to housetops are scattered for miles as though they were tumbled by the giant hand of nature. Cirio and cactus plants are wedged among the boulders, battling their way upward, creating an incredible sight. Every crack becomes a foothold for their persistent roots. Scattered among these plants is one of the peninsulas botanical oddities, the elephant tree. It shoots out in unexpected places. This fascinating tree is native to the region. Its grayish, spongy trunk sends out thick clubby branches resembling an elephant trunk. When it rains the trunk swells, but in the dry season the gnarled limbs seem to claw at the environment.